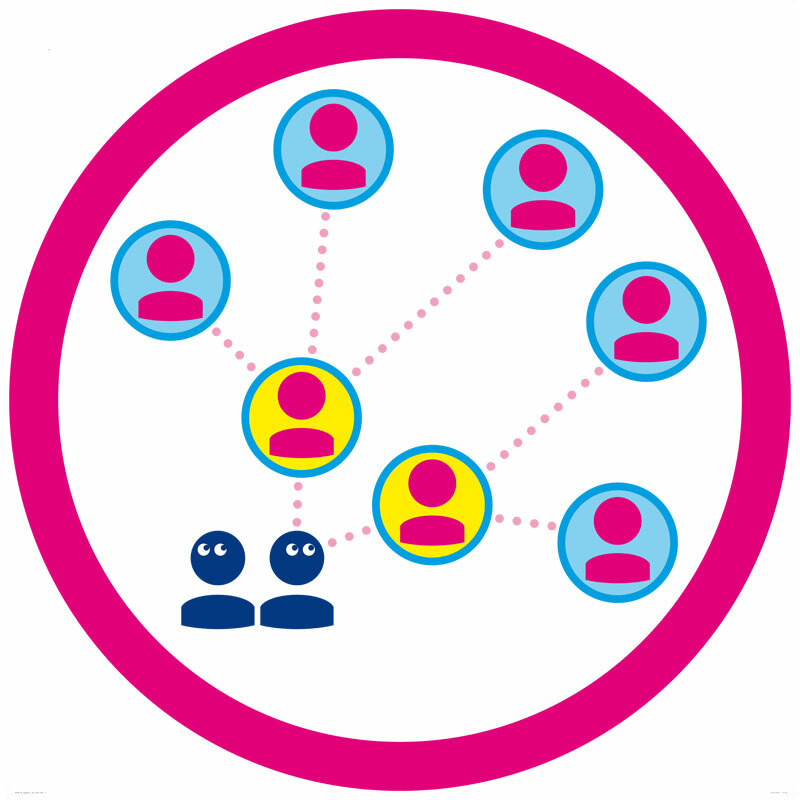 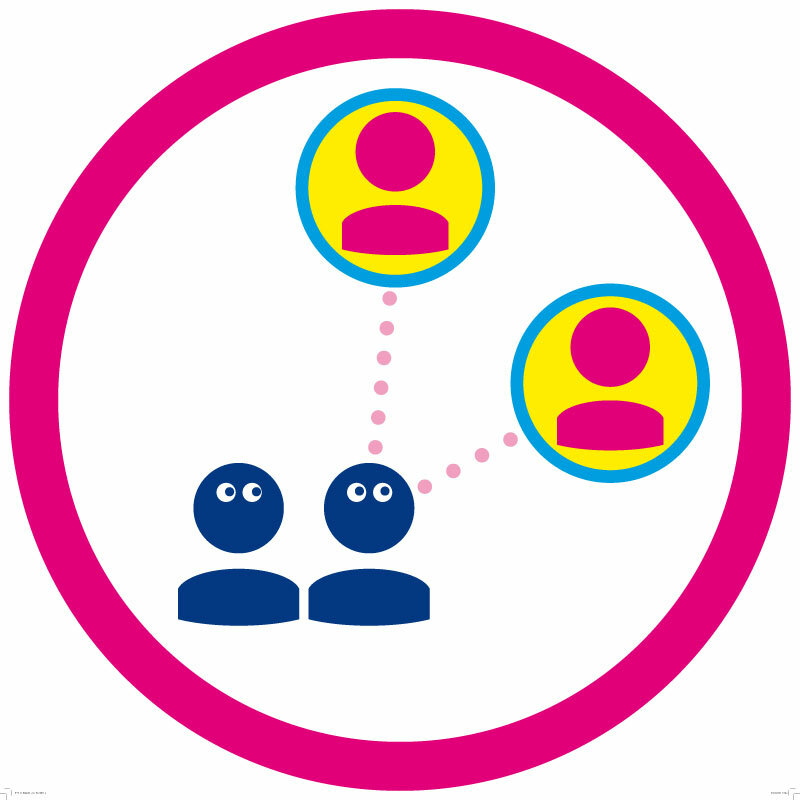 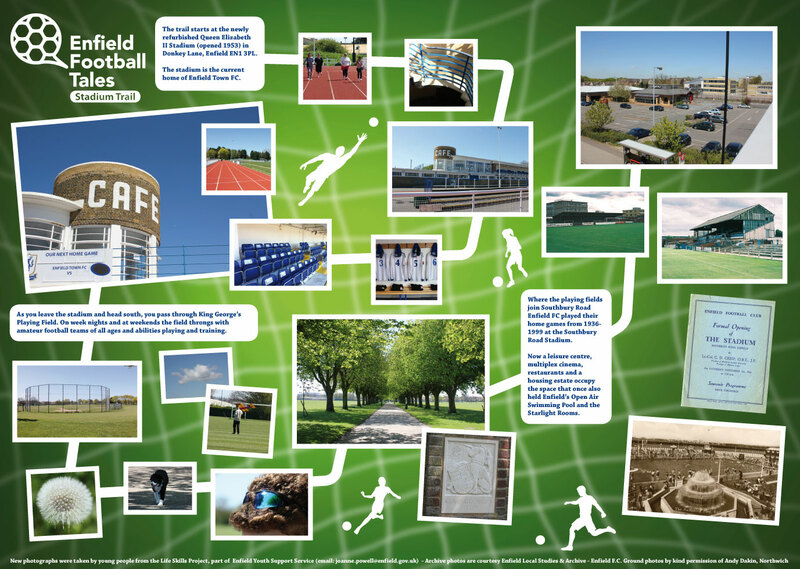 A small selection of my visual communications work. 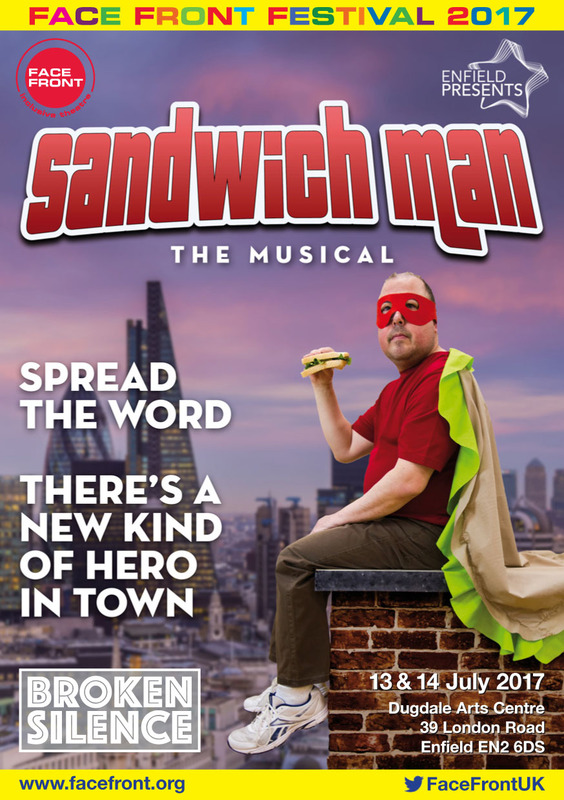 Poster, flyers and programmes for this musical. 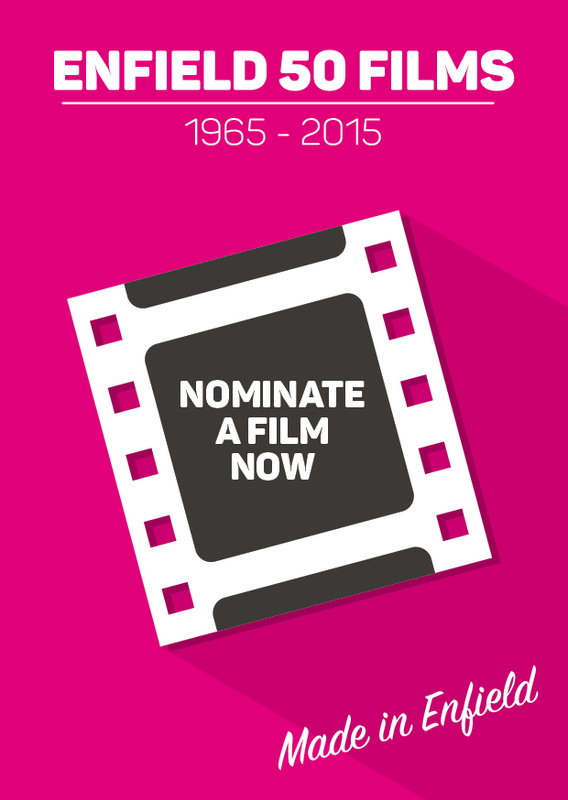 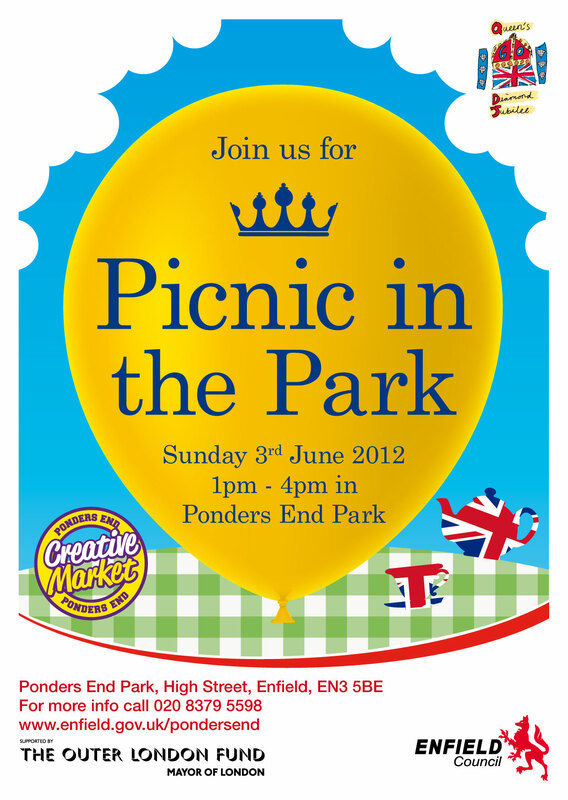 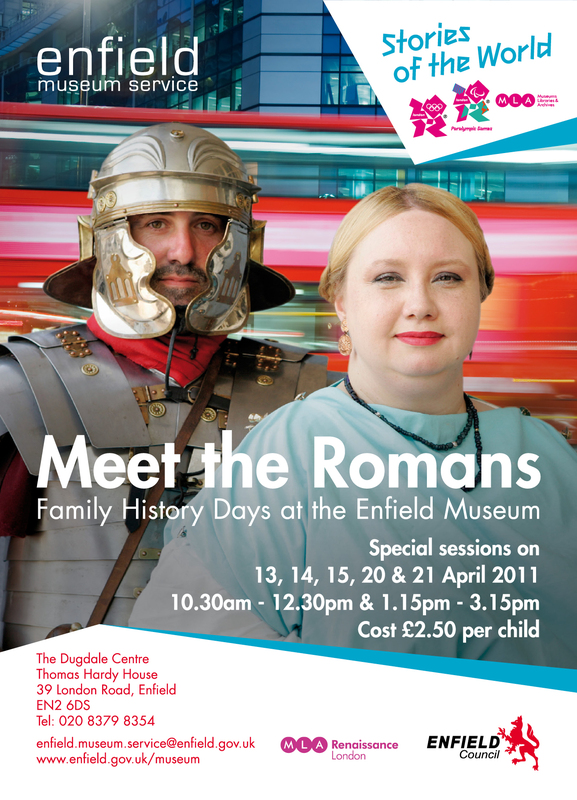 Poster, postcards, invitations, tickets and programmes designed for a short film made by Barnardos. 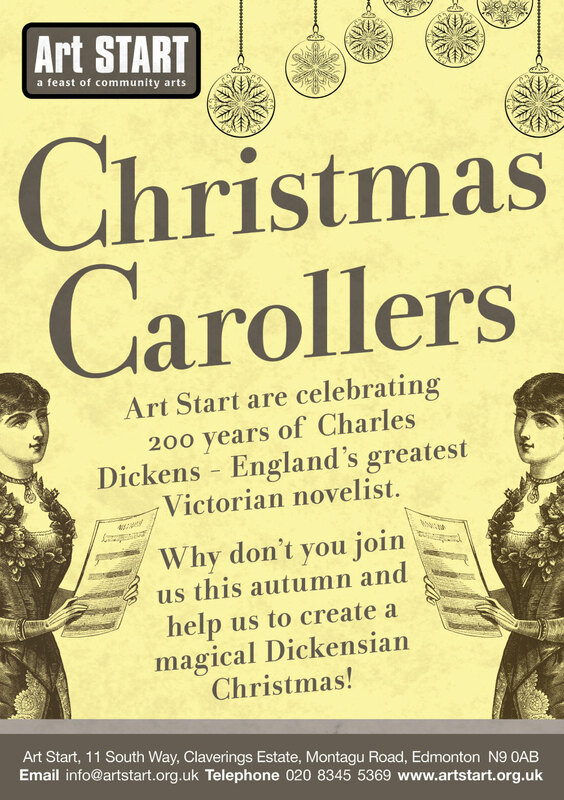 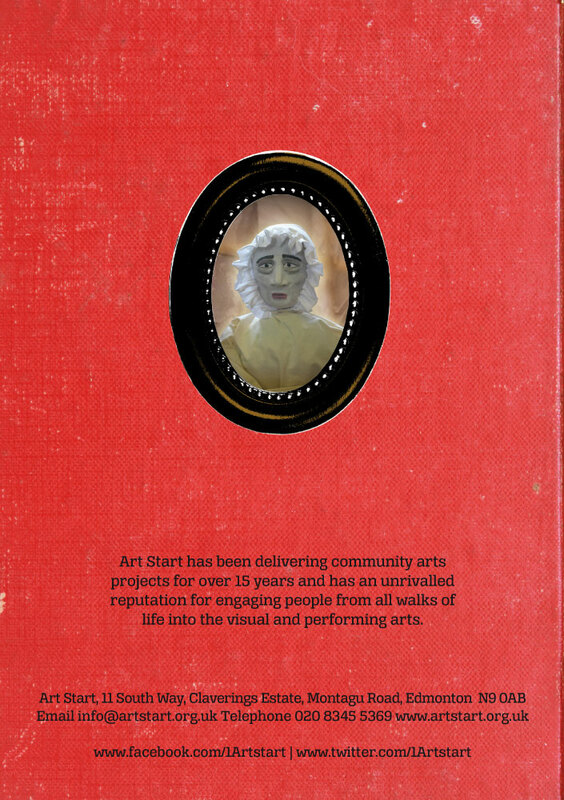 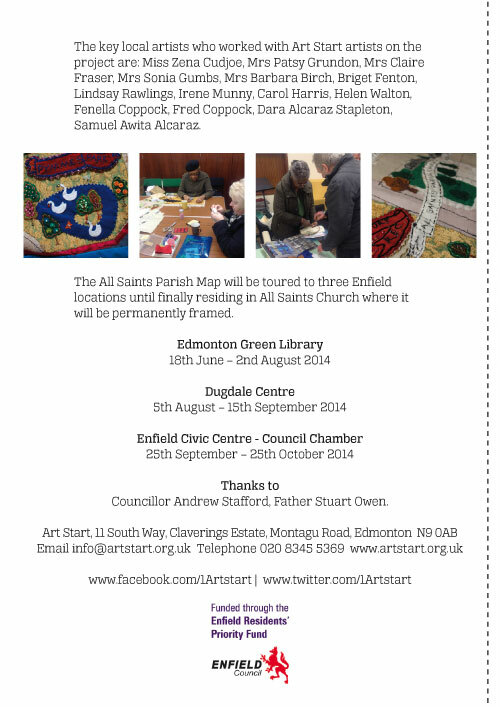 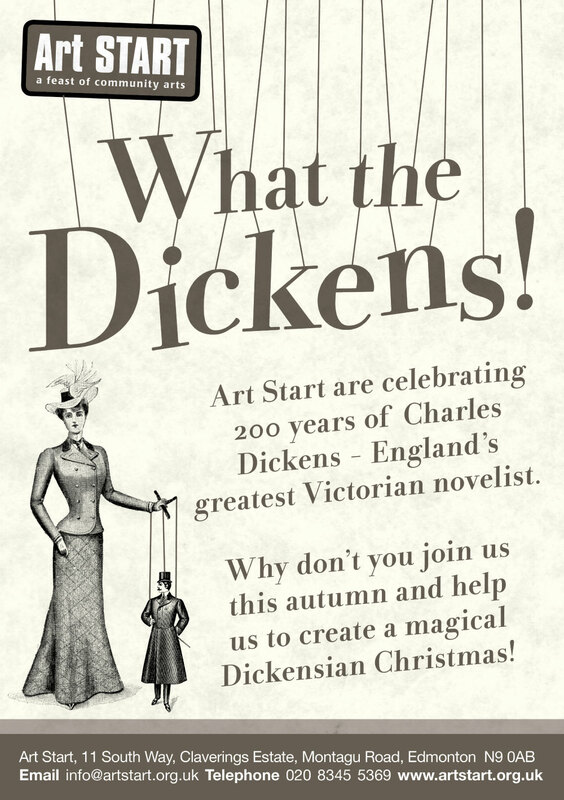 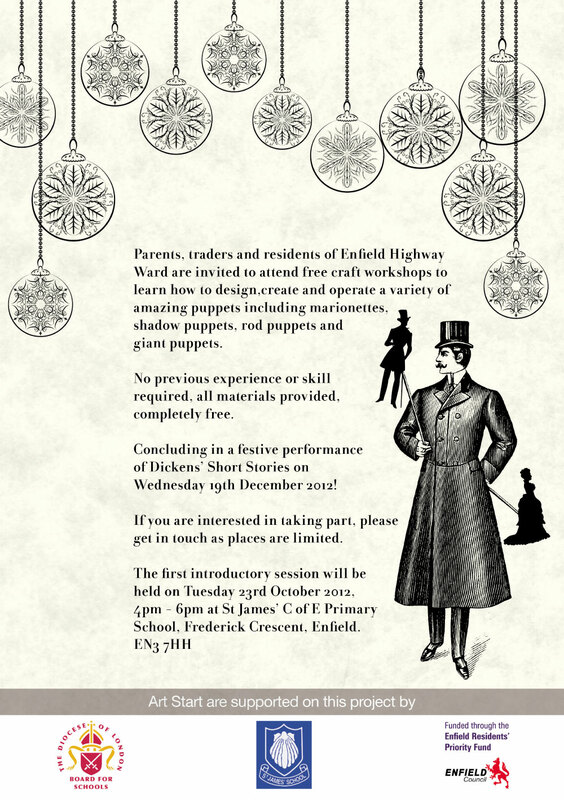 Publicity for Art Start's Charles Dickens themed workshops. 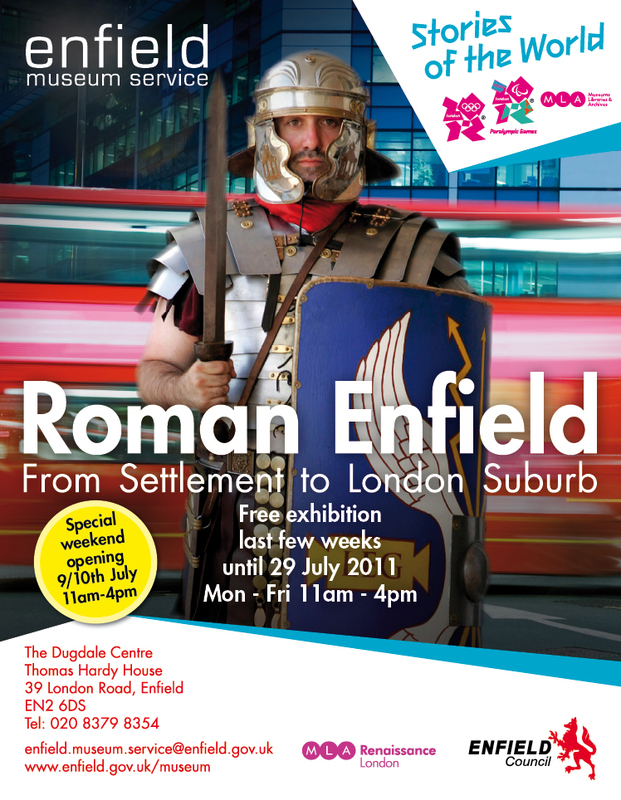 Publicity for Enfield Museum Service's exhibition on Roman Enfield. 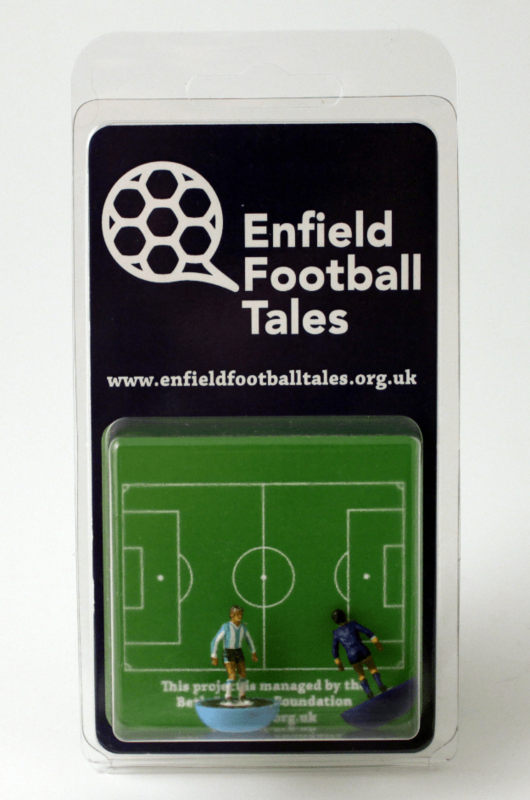 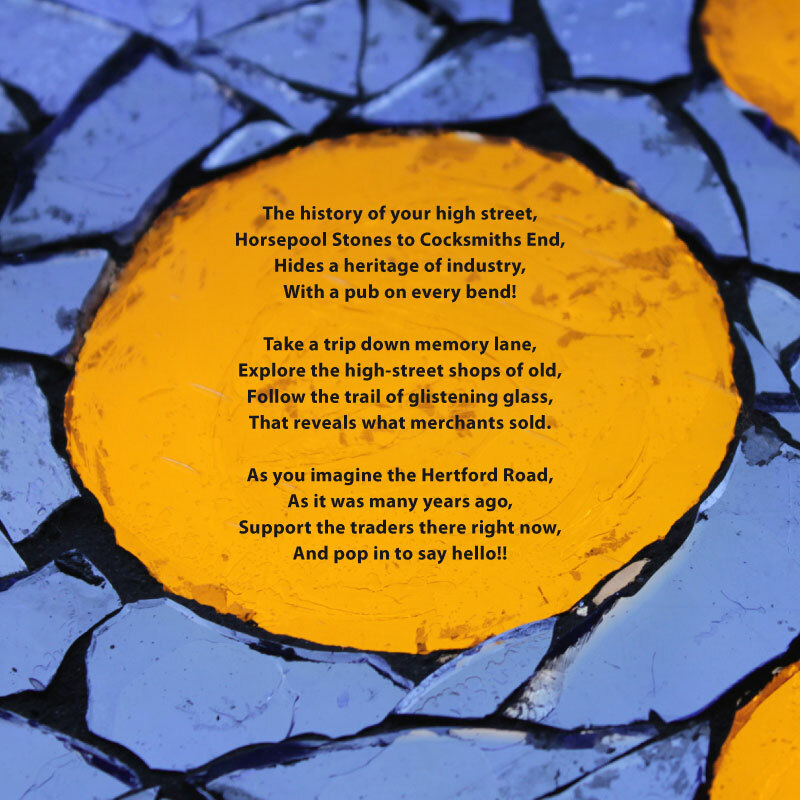 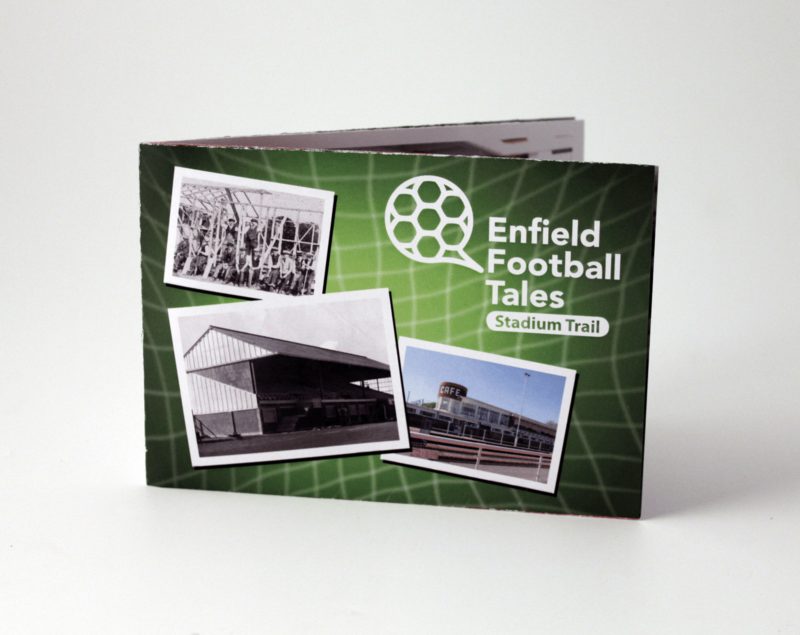 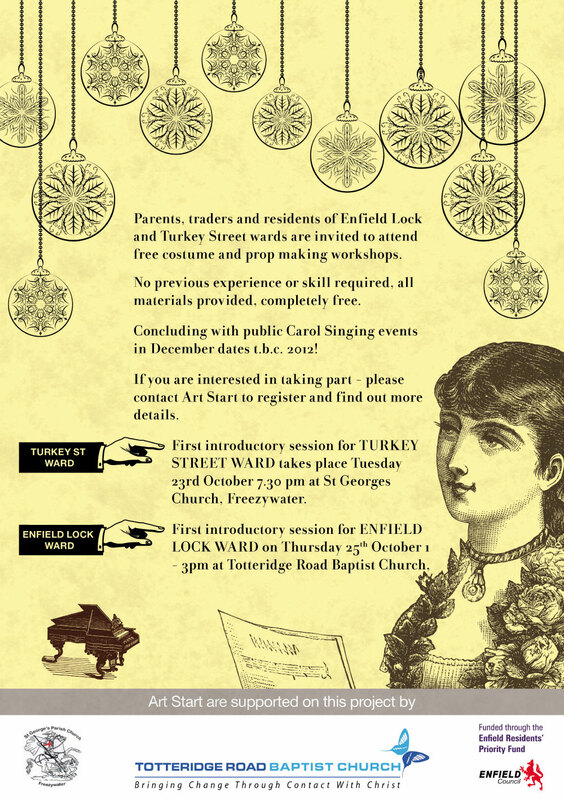 Fold out trail guide produced for Enfield Football Tales. 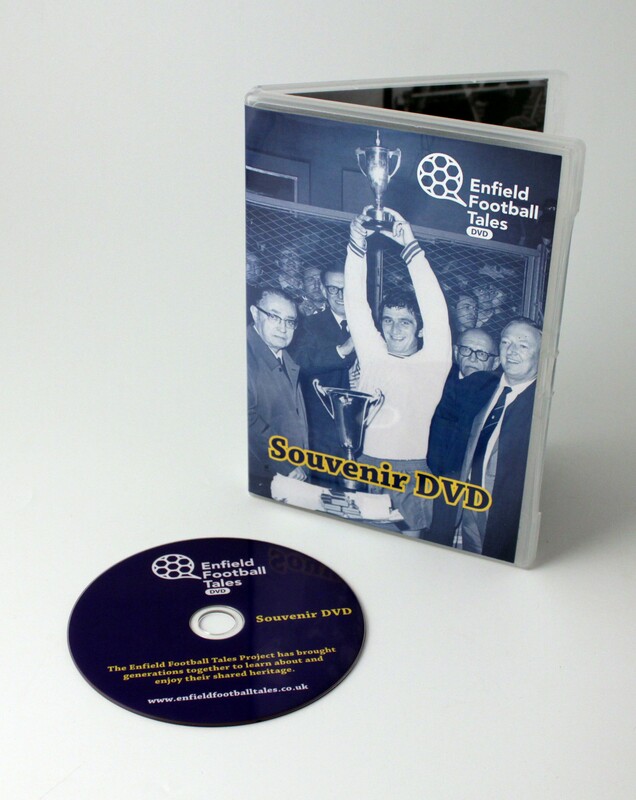 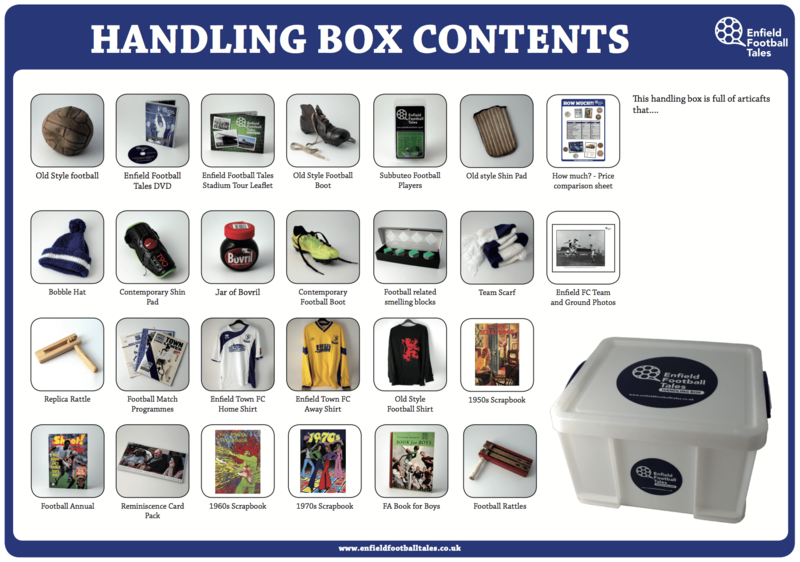 Just one of a number of pieces of work produced for this project, which included exhibition banners, invitations, handling box graphics, promotional items and exhibition guides. 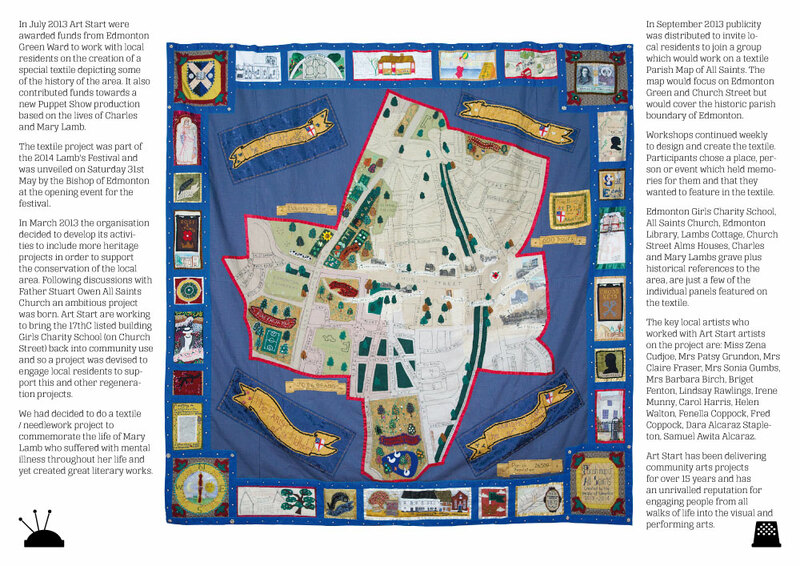 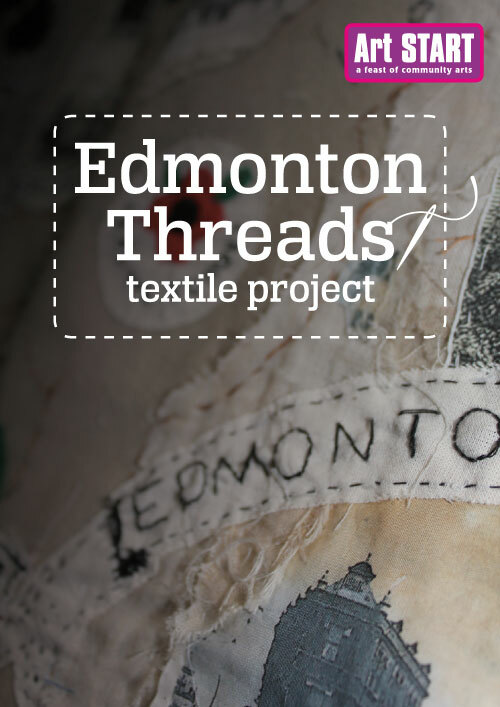 Booklet produced to document the textile banner produced during a community project. 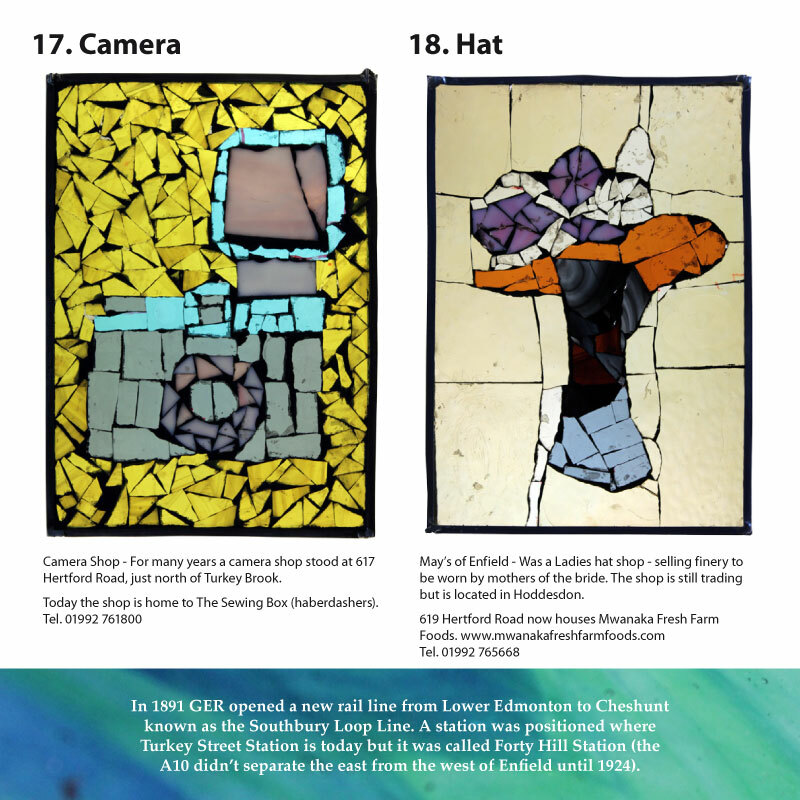 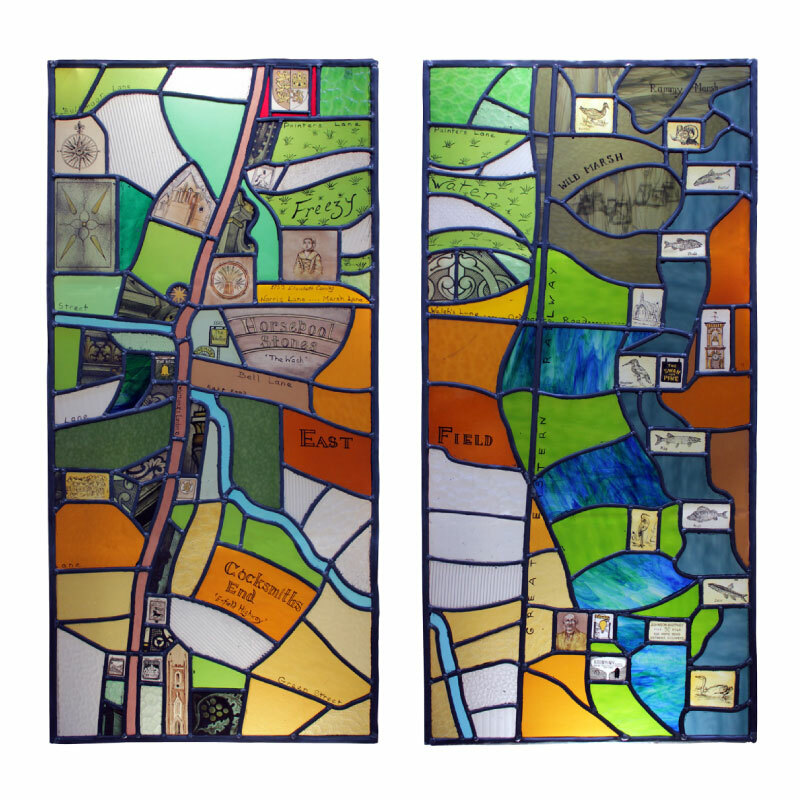 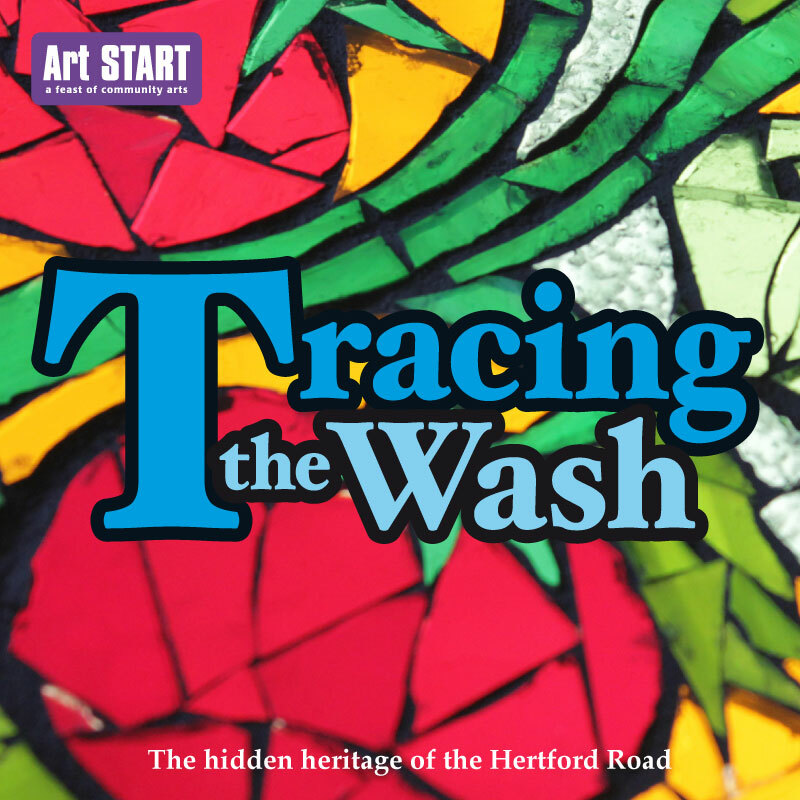 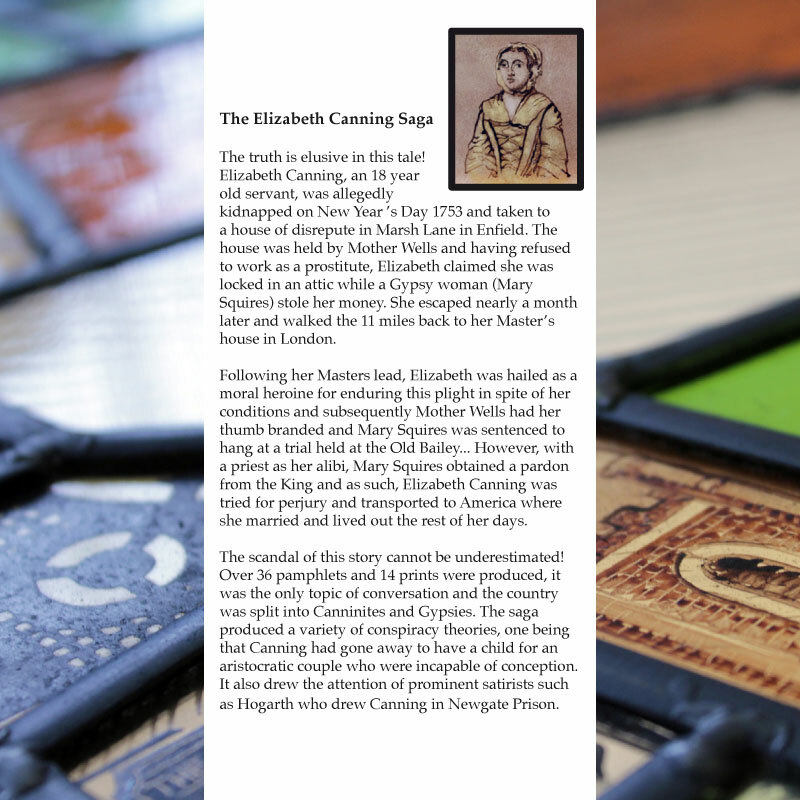 A 16 page booklet produced to document a stained glass window project. 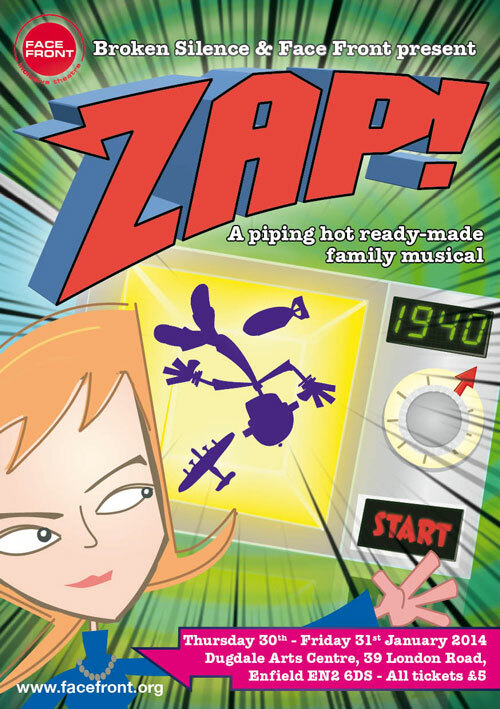 The logo on the booklet was treated with a UV Varnish to separate it from the background. 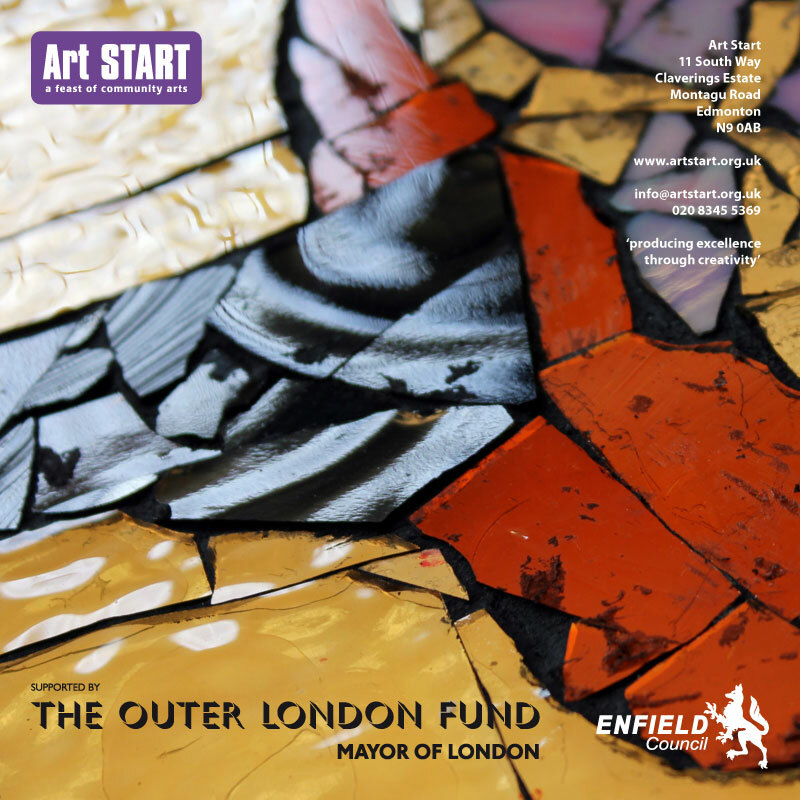 Logo developed for Enfield Council's Mini Holland funding bid. 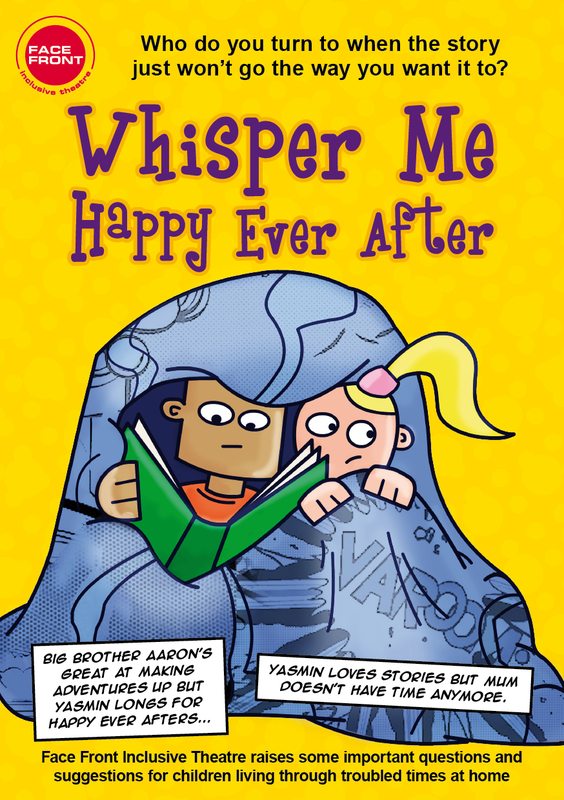 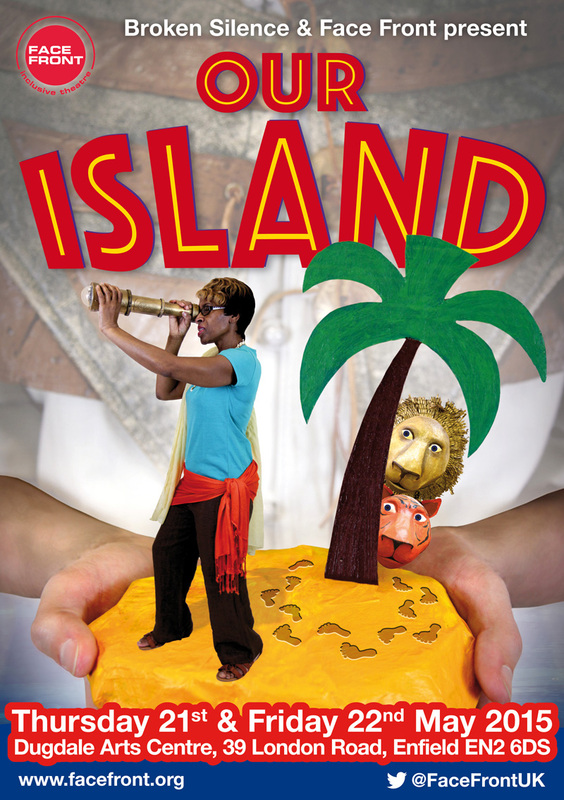 Created for a touring production of a theatre in education play. 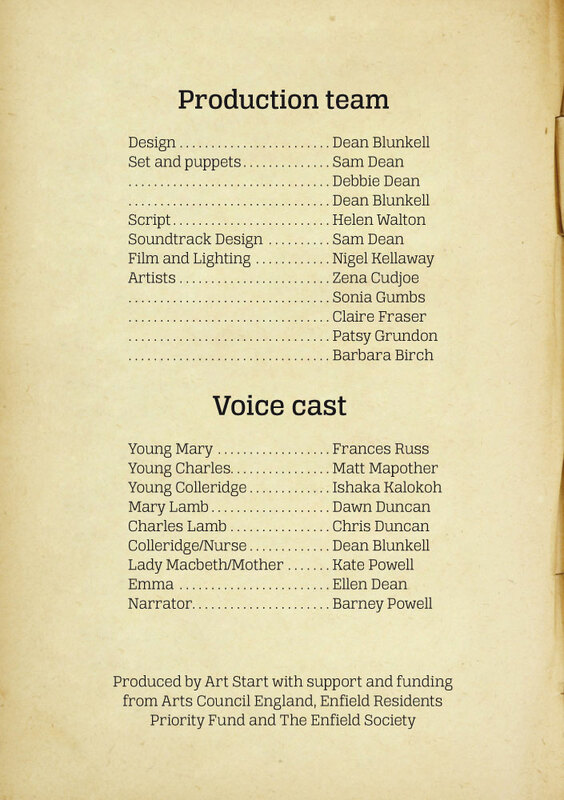 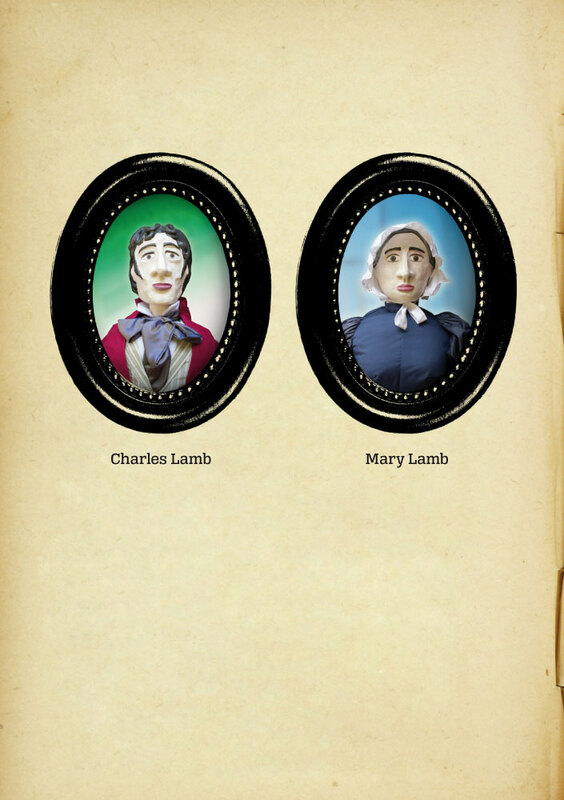 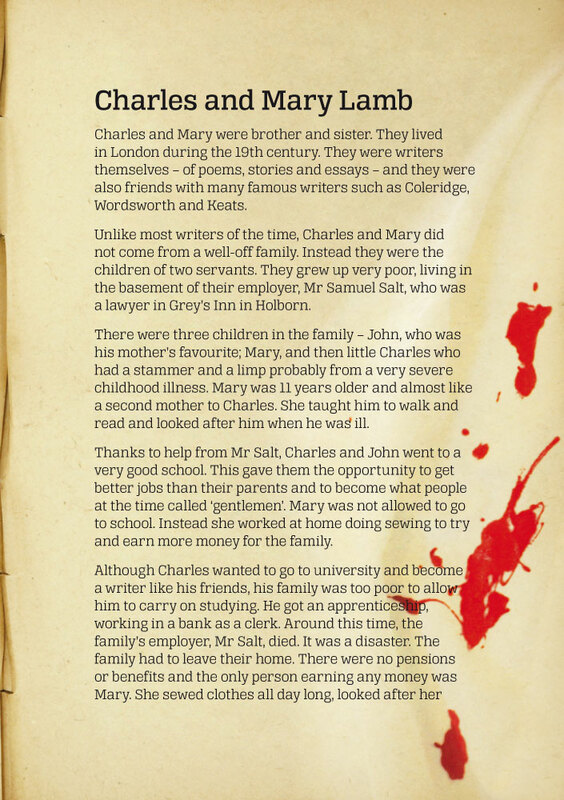 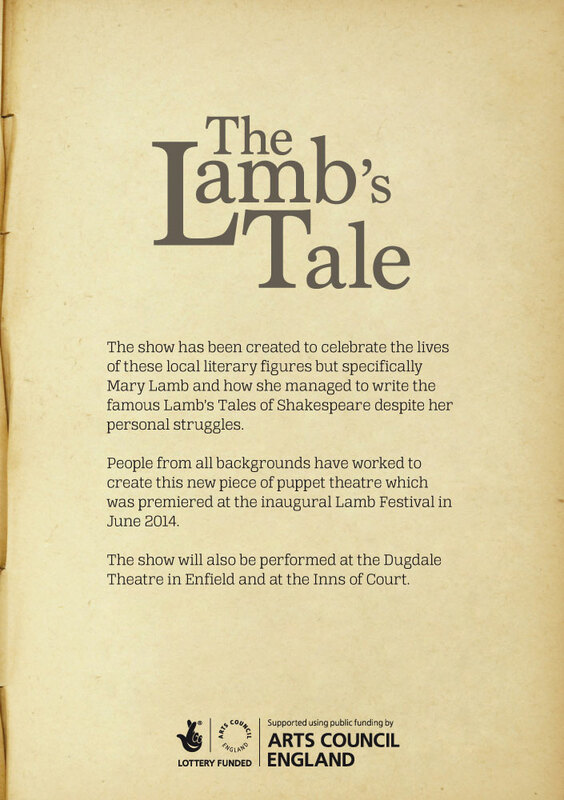 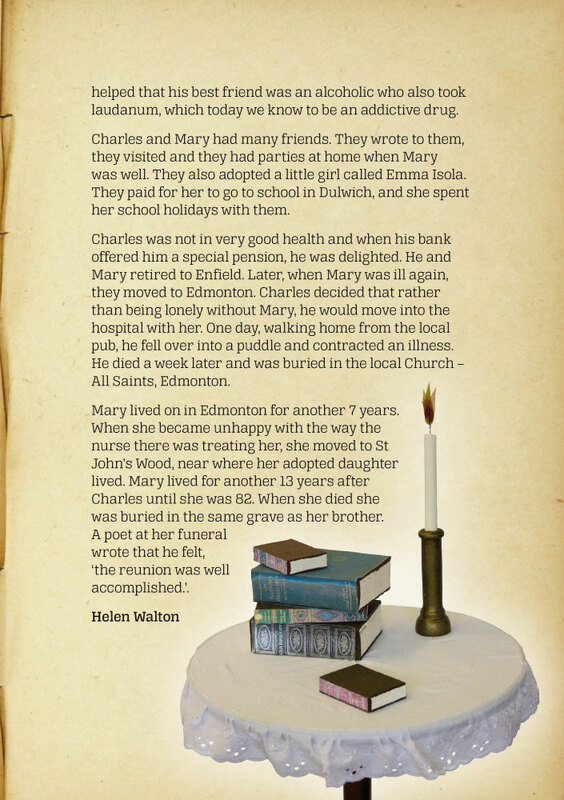 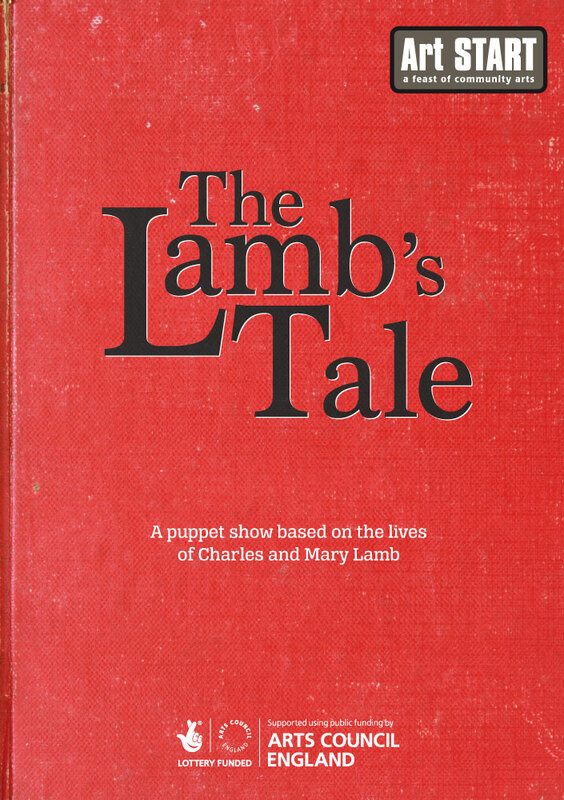 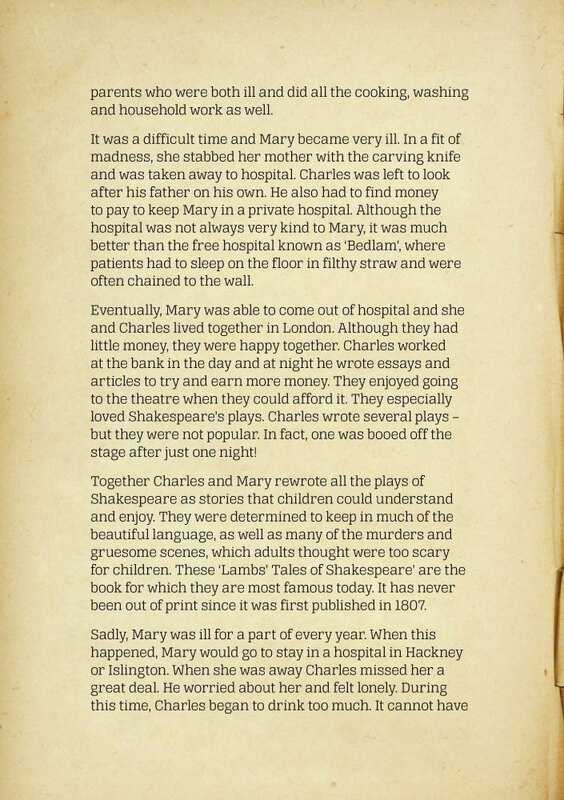 Play programme and DVD design for a puppet play about the lives of Charles and Mary Lamb. 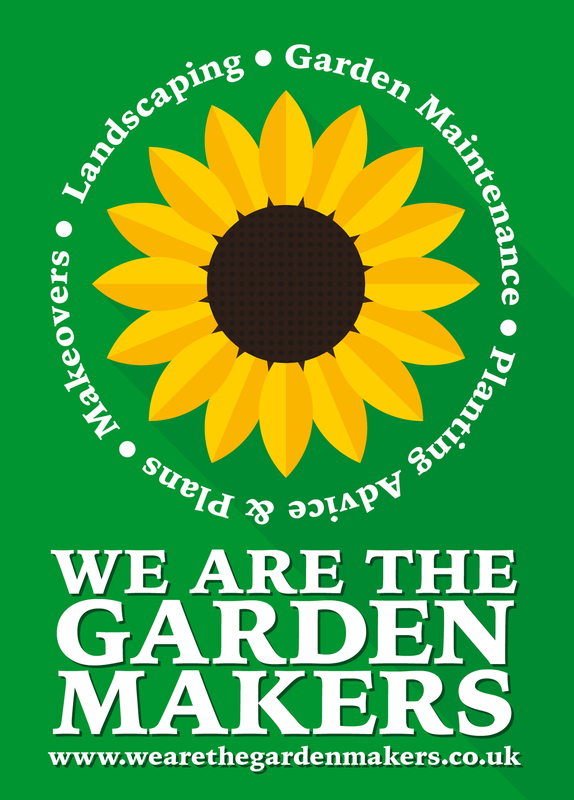 Logotype, promotional postcards, business cards and website. 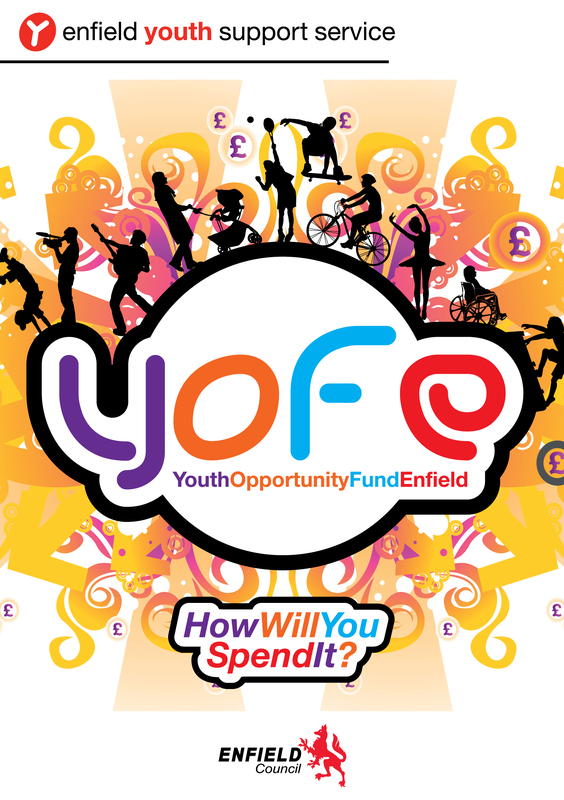 Logotype and promotional poster design for a project enabling youth organisations to bid for small pots of funding. 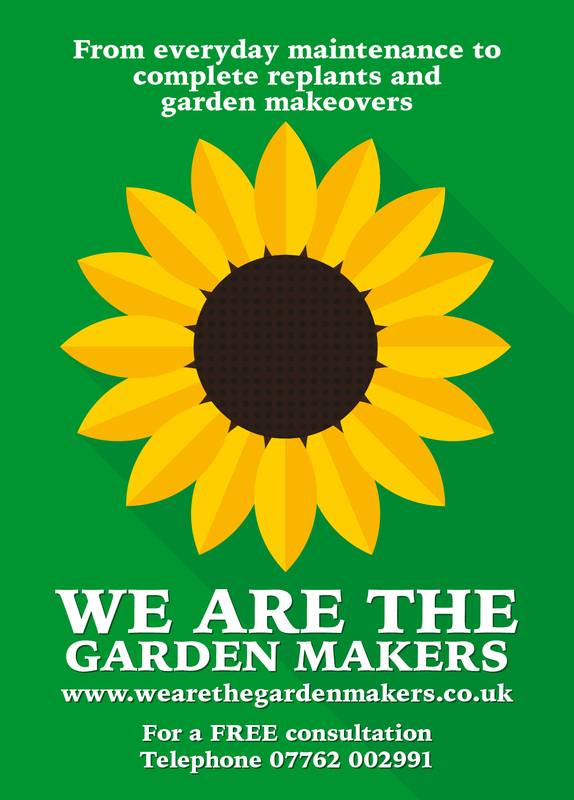 The key intention was to create a logo that was distinctive enough that it could be used on T-shirts. 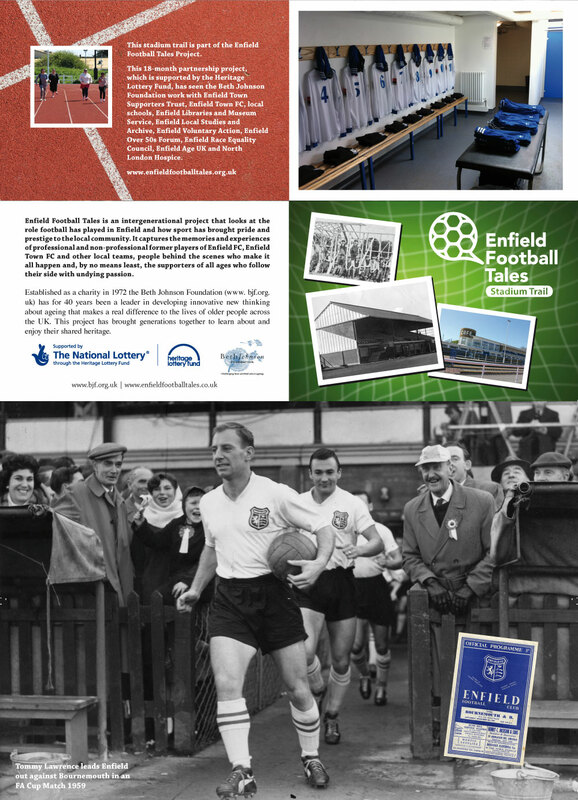 folders, certificates and banners. 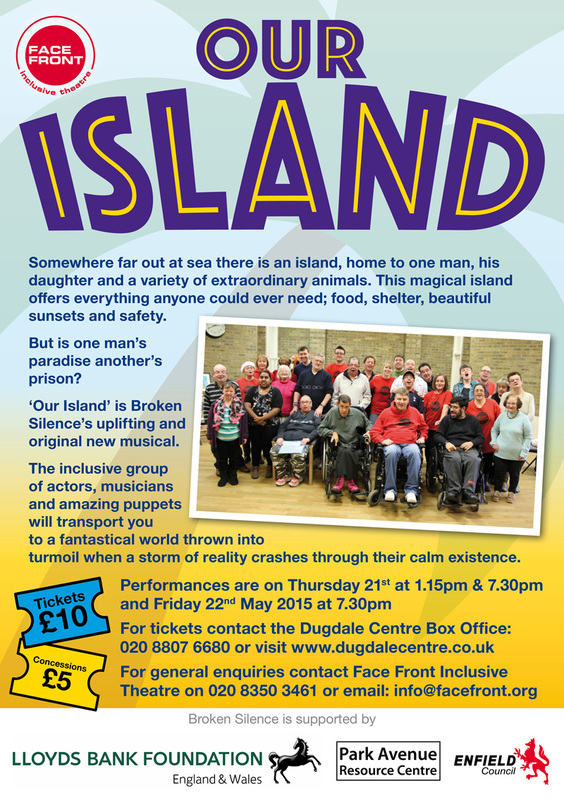 Promotional flyer design for a musical play by Broken Silence and Face Front Inclusive Theatre. 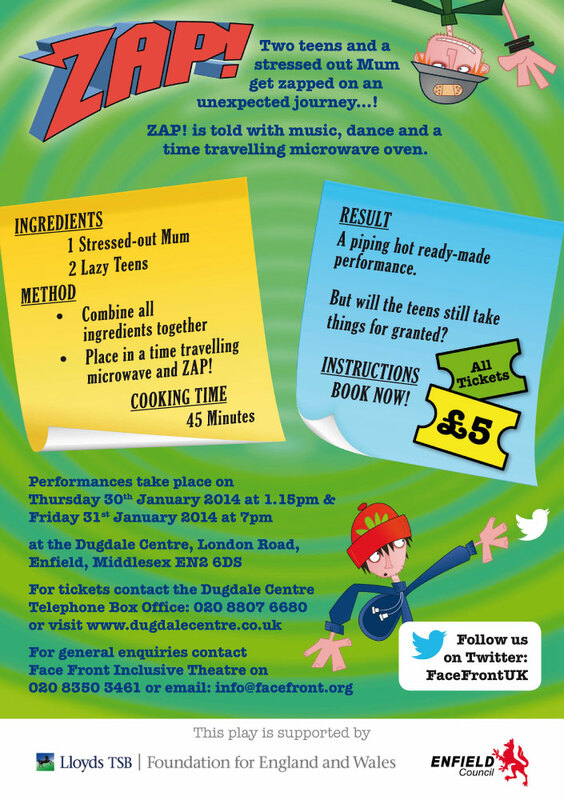 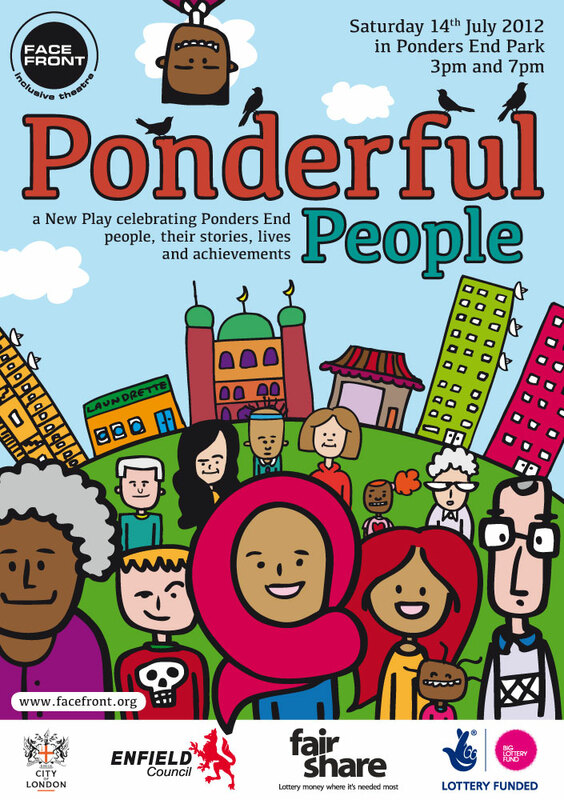 Promotional flyer design for a community play by Face Front Inclusive Theatre. 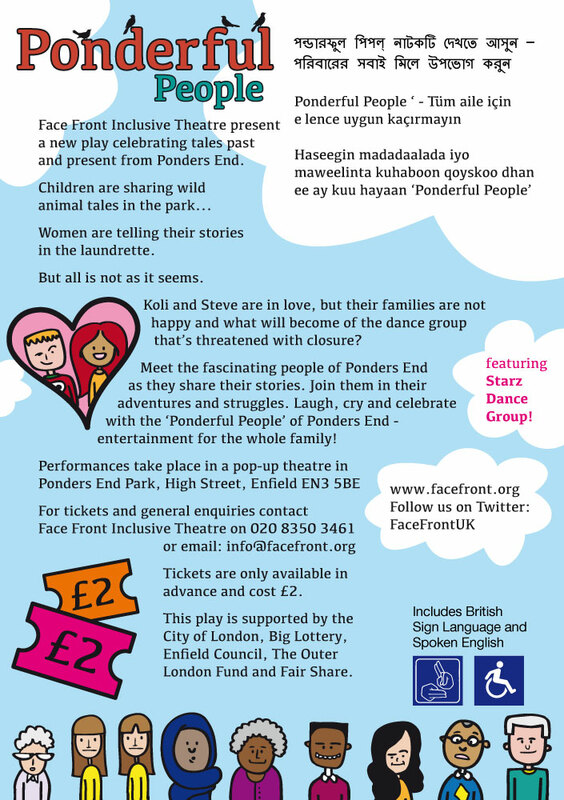 Promotional flyer design for a play about domestic violence by Face Front Inclusive Theatre. 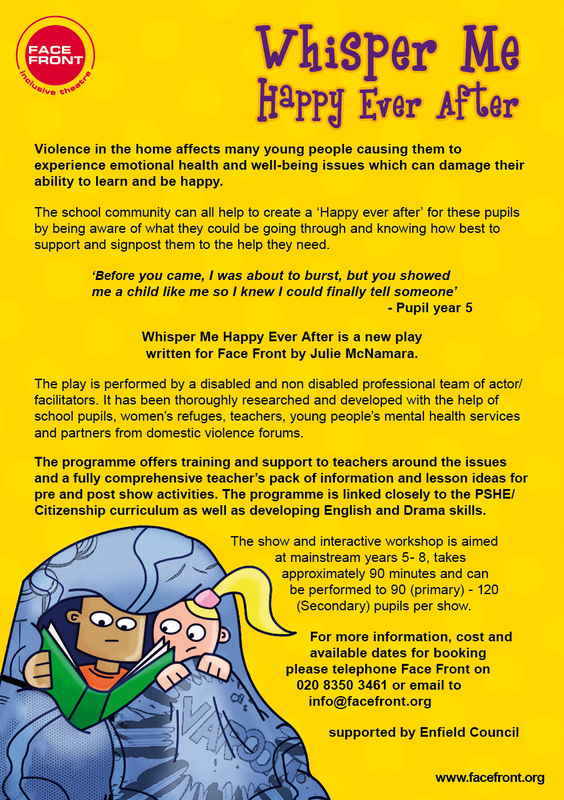 Promotional flyer and web banner design for a play about domestic violence by Face Front Inclusive Theatre. 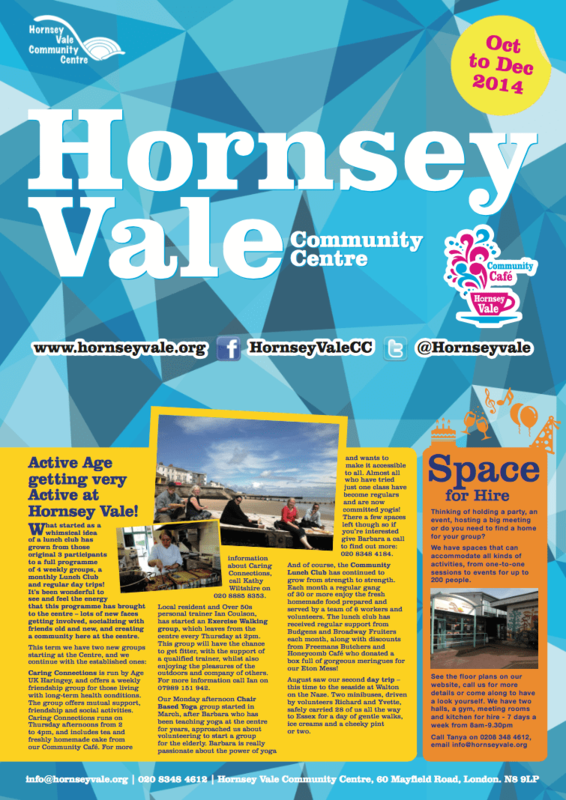 Design of a four page Community Centre newsletter for distribution to local residents. 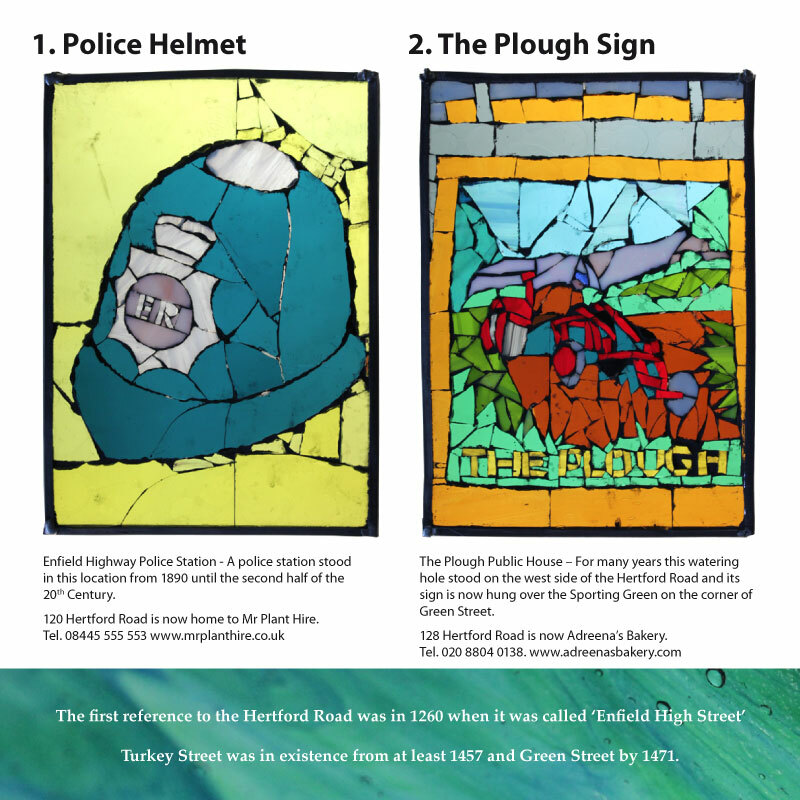 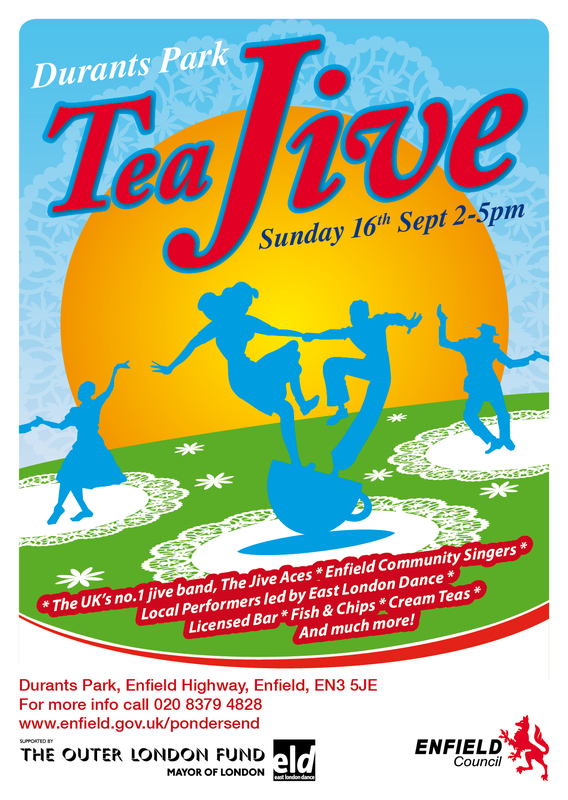 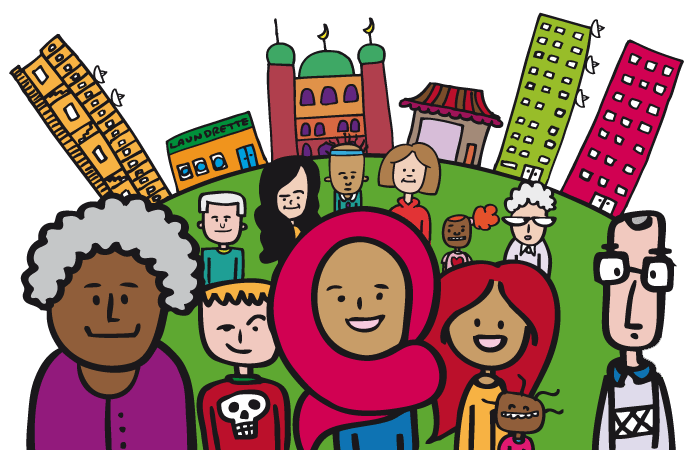 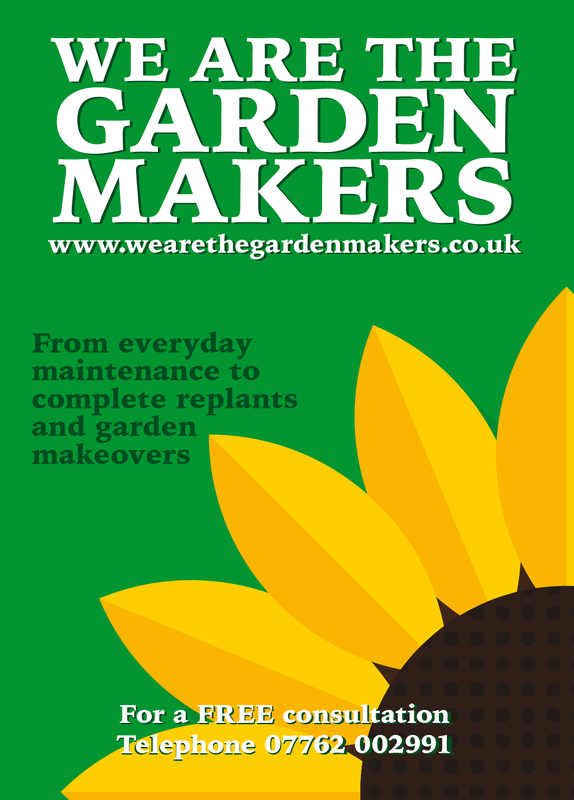 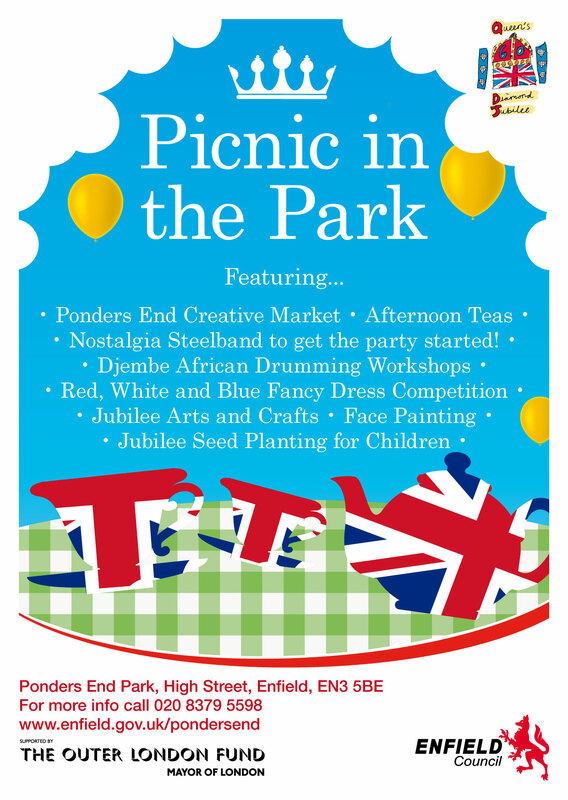 The design has proved to be very popular and the centre has been approached by local businesses interested in advertising in future editions. 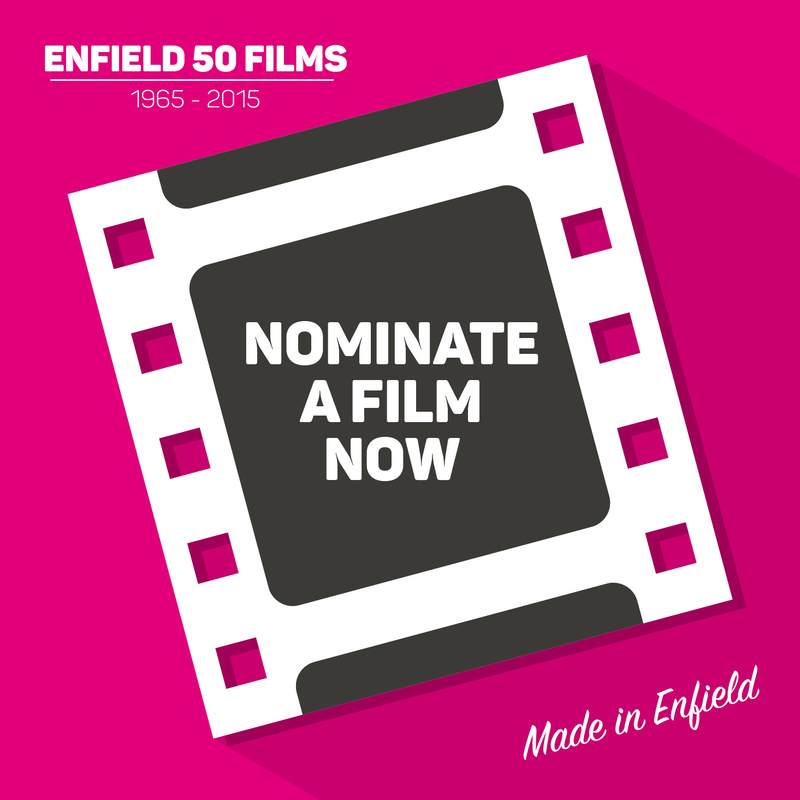 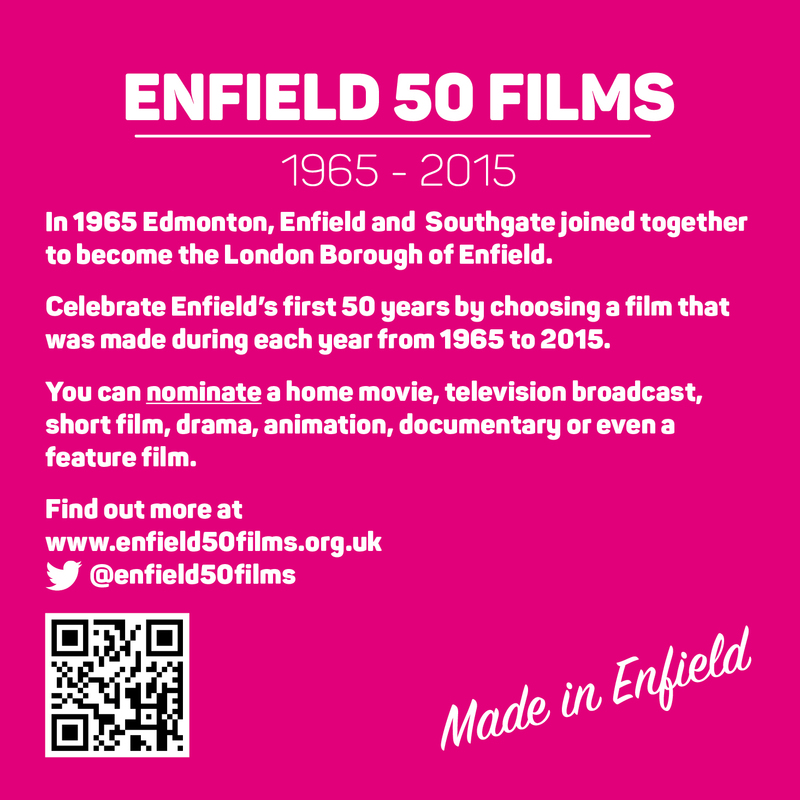 Logo and identity development for a web based project celebrating 50 years of the London Borough of Enfield through film.